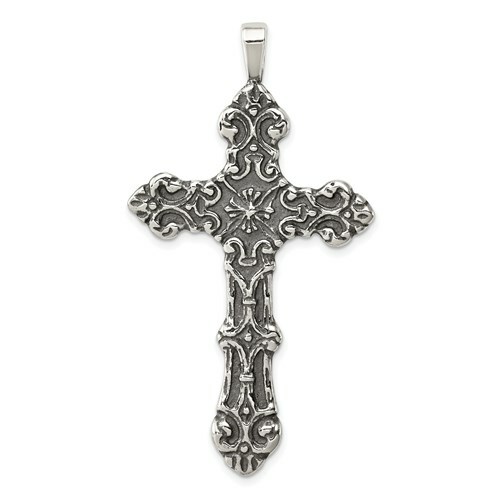 Sterling silver diamond cut cross has a textured back and measures 2in x 1 1/4in wide without bail. Chain not included. Weight: 7.3 grams. Very pleased with the Tumbo Ornate Cross. It was supposed to be a gift but I would never have given it to the person. It was awful.